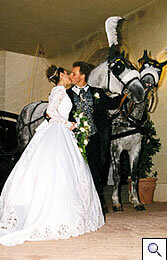 Let our beautiful horses and carriages make your wedding day, a dream come true. 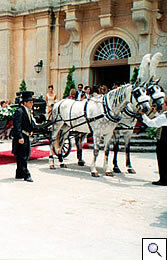 We specialize in quality, providing luxury vis-à-vis carriages for Weddings. 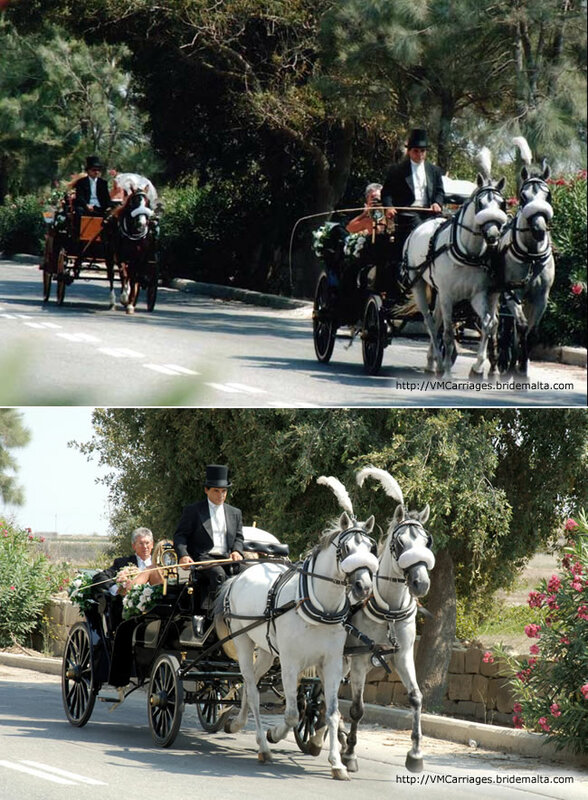 Imagine the impression of your groom and guests when they see you arriving in style and romance, beautifully dressed, on an elegant horse carriage! 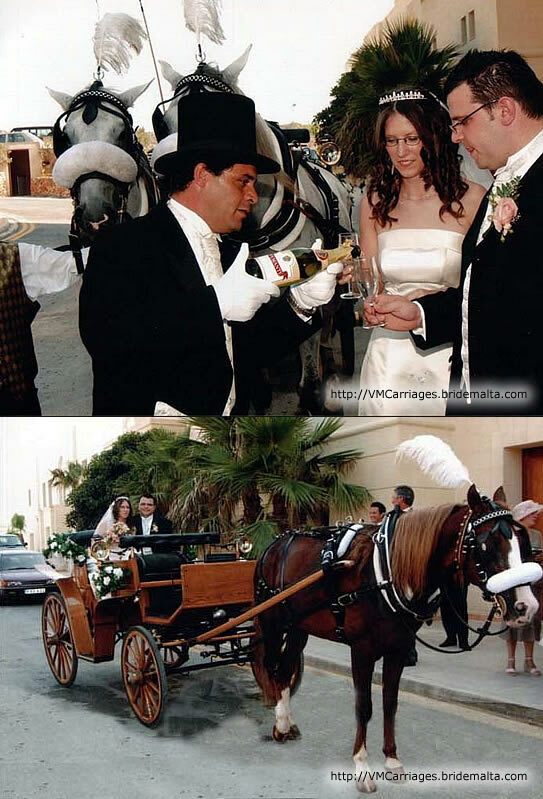 We take extreme pride in our horses, carriages and equipment so you will be assured to have only the best on the most important day of your life. 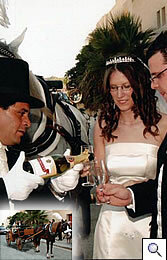 We do our utmost to provide a professional service for this memorable day and give importance to every detail and request. 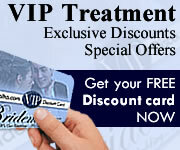 We make sure that your events run well… that guests are enchanted and that memories remain forever. 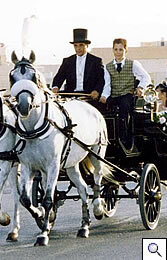 The drivers are all experienced horsemen and are able to lead all occasions with confidence. 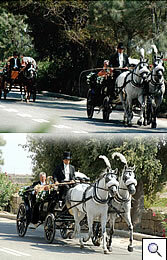 Our horses and vehicles are very well kept and are perfectly sound in the heaviest of traffic. 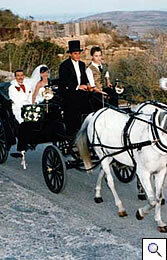 We are fully insured on our carriage and horse riding services. 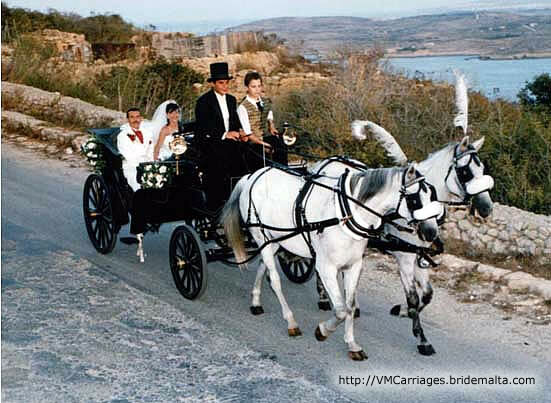 Gozo is considered by many as the legendary Island of Calypso …… the Island of Love and Honey! 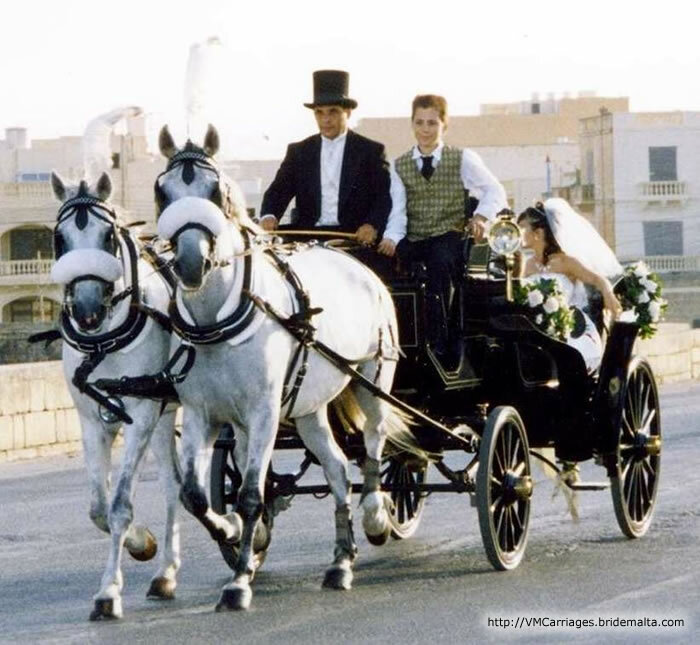 Many couples from all over the world choose Gozo as their destination to get married and have their honeymoon in this little paradise. 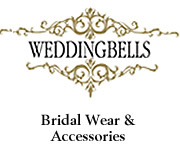 On your wedding day, you want everything to be perfect. A perfect transport service, an elegant environment, delicious food, champagne and drinks, a good photographer and beautiful flowers. You can leave all this to us as we offer a very professional wedding organizer service that brings all your dreams and ideas to reality. This page has been visited 17455 times.